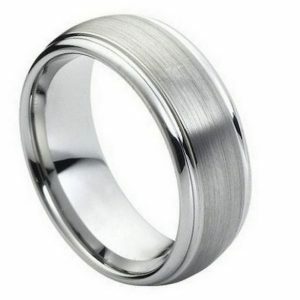 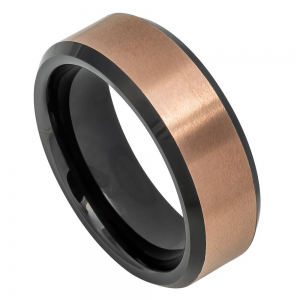 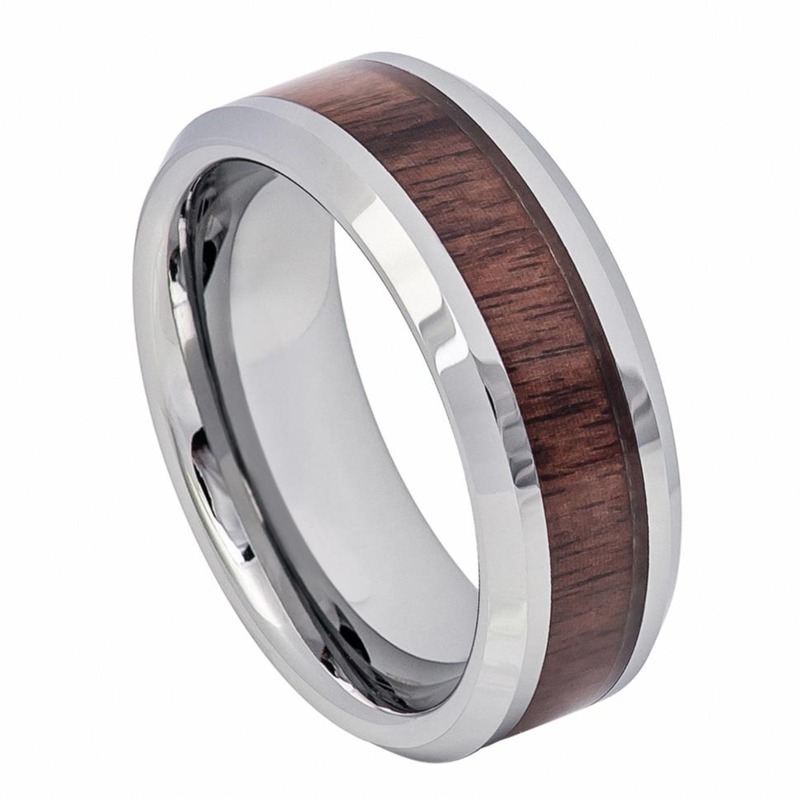 This tungsten highly polished band is a sharp contrast to the rich deep Mahogany Inlay from Forevermore Jewelry. 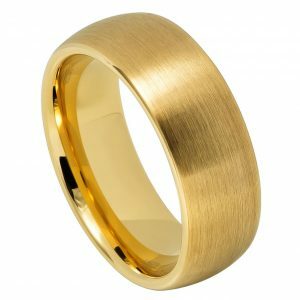 It is a modern yet unique wedding band. 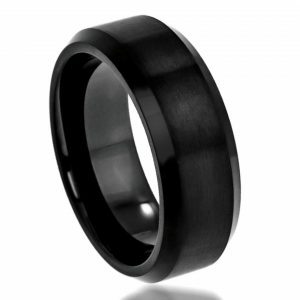 The beveled edge enhances the dark inlay.